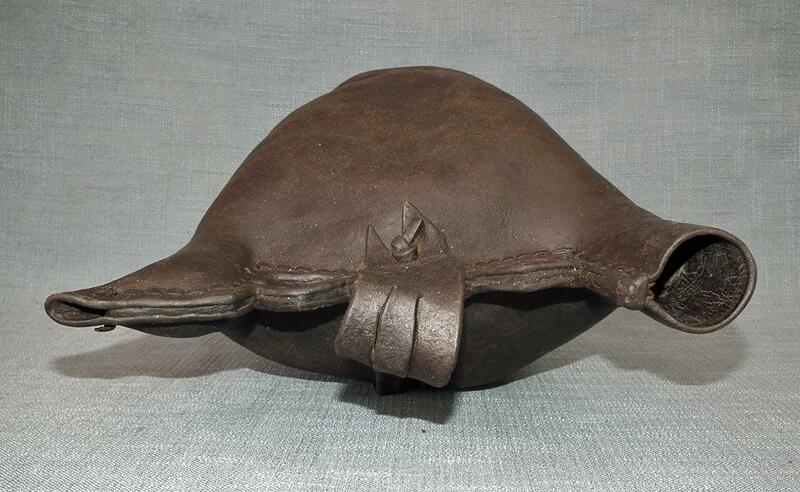 Huge antique 16th century Turkish Ottoman leather water flask (Matara). 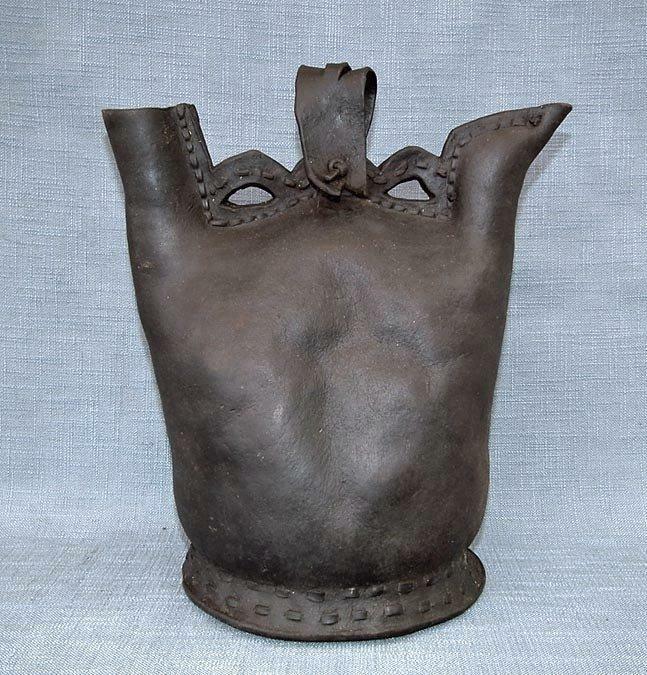 The bladder-shaped flask with three protrubances, one for carrying, one with narrow spout for drinking, the third with a cylindrical neck for filling, of thick leather, stitched together with a central seam with three lines of stitching. 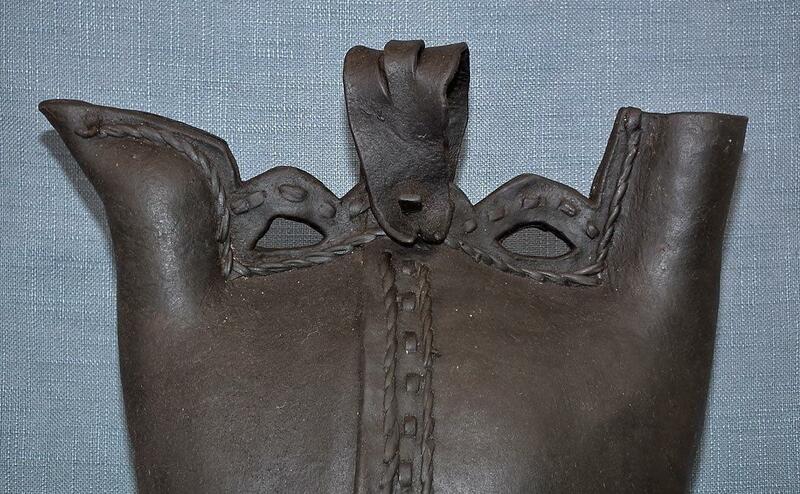 The Matara leather water flasks were very popular in Turkish Ottoman Army during the 16th century. MEASUREMENTS: Height at highest point: 34 cm (13.39 inches). Across max. 31 cm (12.21 inches). 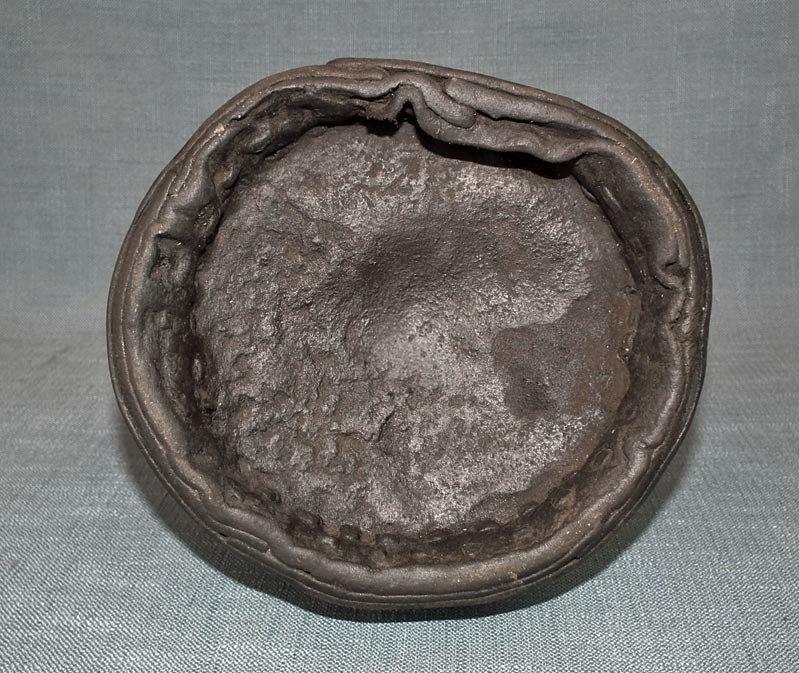 CONDITION: This Matara is in good condition considering its age to be over 500 years, showing its age and usage. In its original condition, no repairs or restorations. 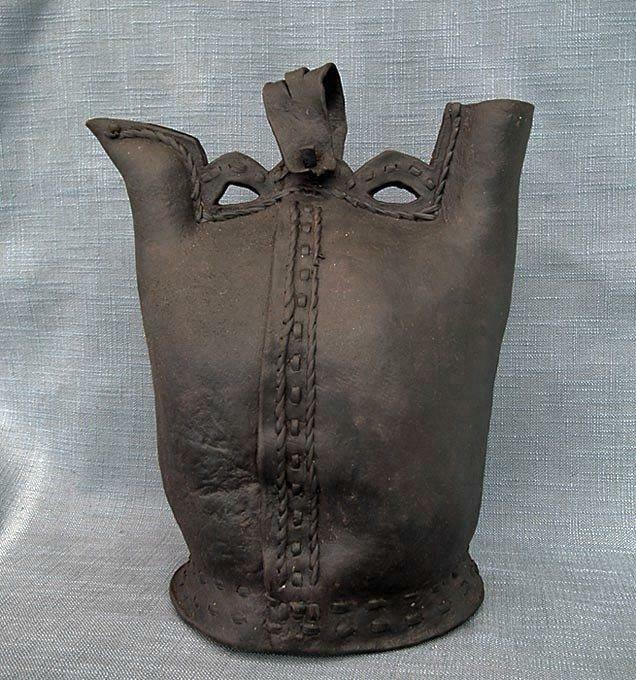 This water flask is the prototype for a shape which was copied in far more lavish and durable materials from the sixteenth century. A famous example in gemset rock crystal is in the Topkapi Palace Collection (Atil, E.: The Age of Sultan Süleyman the Magnificent, exhibition catalogue, Washington D.C., 1987, no.60, p.129. 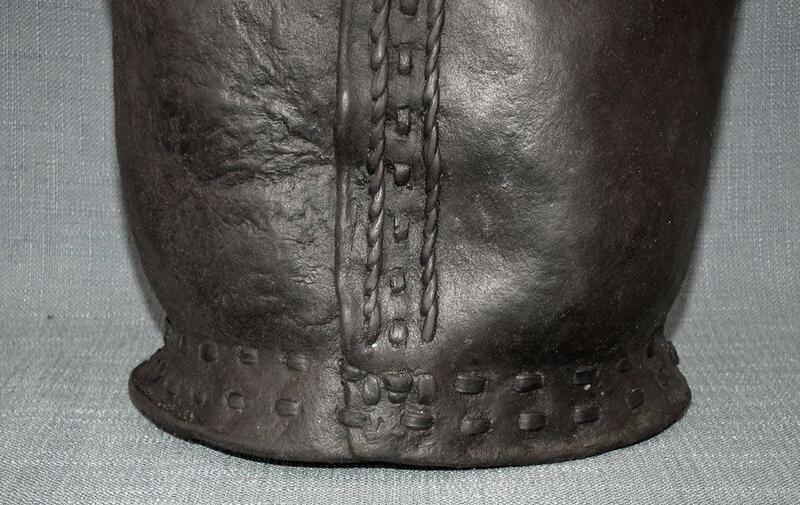 Two copies were also made in pottery at Iznik. One is published by Atasoy and Raby (Atasoy, N and Raby, J.: Iznik -- the Pottery of Ottoman Turkey, London, 1989, no.634, while the other, painted in the 'Damascus' palette, is in a private collection. 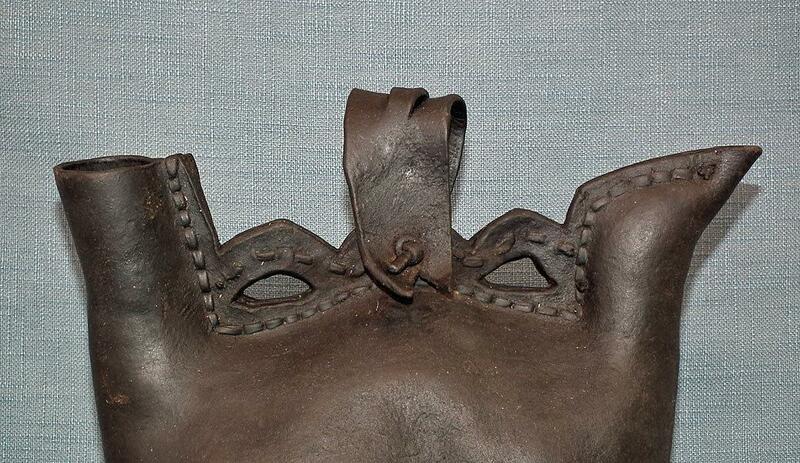 For a metal prototype in the Sadberk Hanim Museum, see, Bodur, Fulya, The Art of Turkish Metalworking, Istanbul, 1987, p.112, pl.A.55.